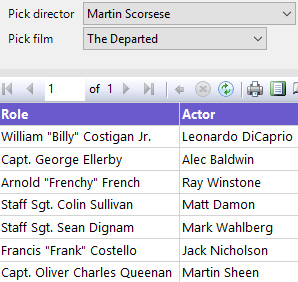 Create a report called Casting Decisions and add a data source which connects to the Movies database. You'll need three datasets and two parameters to achieve this. Save and close the report once you have it working.